I got this a while back and overall like it a lot. Its a different kind of fantasy bust being a Goblin Queen. 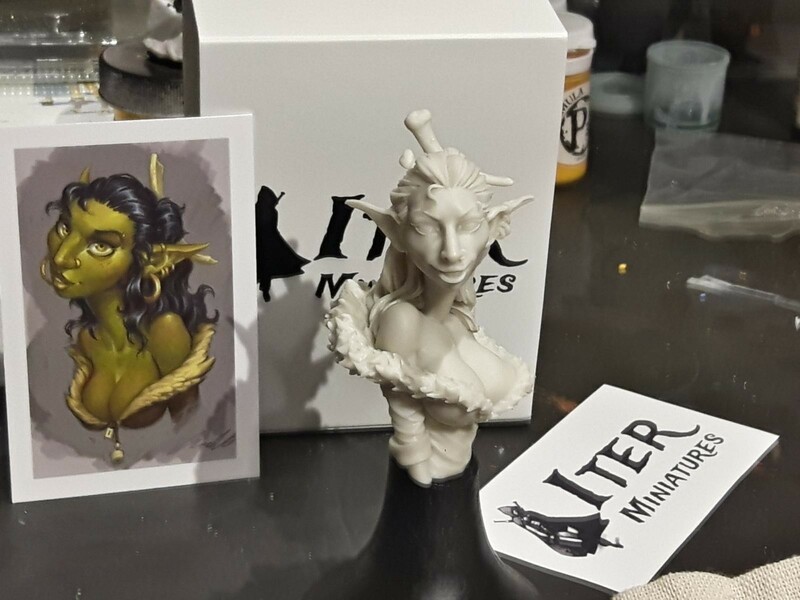 One complaint about Iter Miniatures is the final product is a little different than the actual mini. While it hasn’t bothered me a lot I do think the artwork is a better more animated version. There was a big change on their second miniature. Still there isn’t anything exactly like her out there. I did a figure (modified) I called ‘Goblin Lord’ three years ago, painted in a typically garish fantasy colour palette. These can be interesting projects, not too expensive and not overly time consuming. As a set of characters, they be eye-catching on a display table and the public always seems attracted to them. I enjoy my military subjects very much, but having said that I am drawn to figures because by their very nature they have life. Your Goblin lord is very cool. Haven’t seen that one. I will check it out thanks. 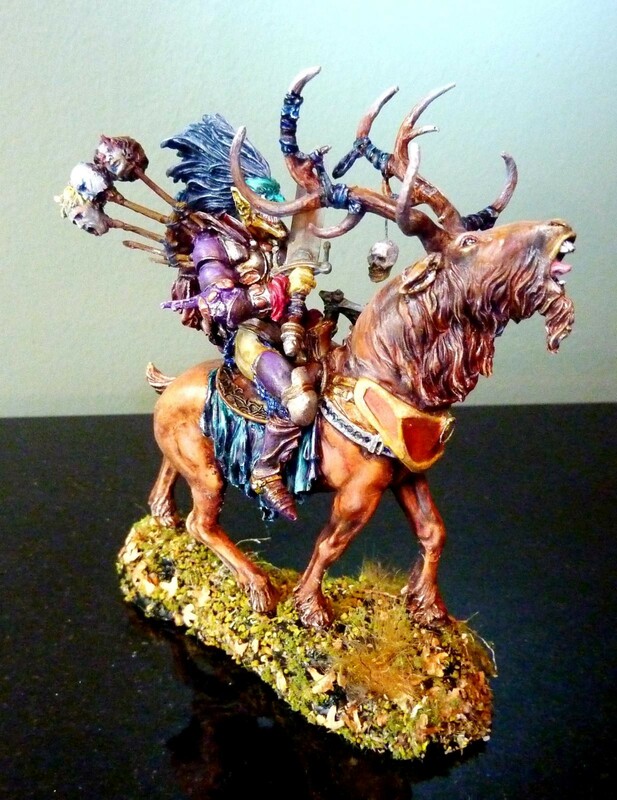 I was never into figurines games, not even in the old days with Napoleonic figurines, nor Warhammer, or any others. But I obviously can appreciate some, and some are indeed nice. I was RPG myself. never really played the miniature games, but can use some in Rp’s but some just grab my attention. There are a lot more choices now than there used to be which is nice.